But here is the way to do that. The first thing you have to do is adjust the G3E.exe.config located in the \GTechnology\Program directory. You should add the following three lines after the <configuration> tag. After that you must adjust the Path-variable. Or check if the path is already set in you system settings. 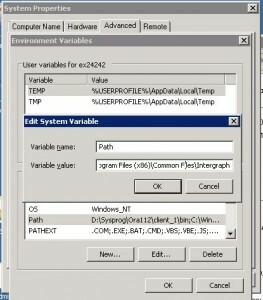 The following path needs to exist in the path variable for a 64bit environment it is: C:\Program Files (x86)\Common Files\Intergraph. If you are using a 32bit environment you should lose the (x86) part. After setting the path, it is important to reboot the machine! 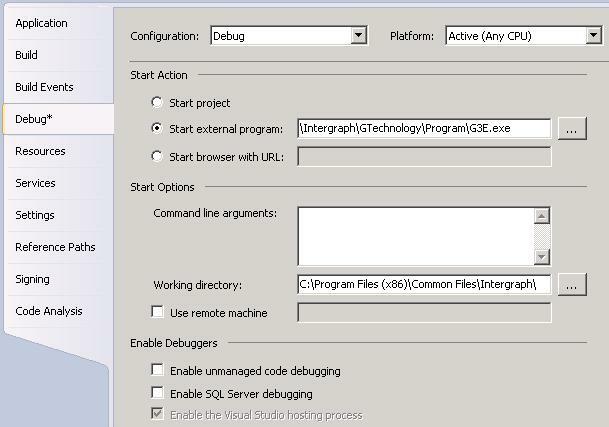 Now you can fully debug your applications in Visual Studio. 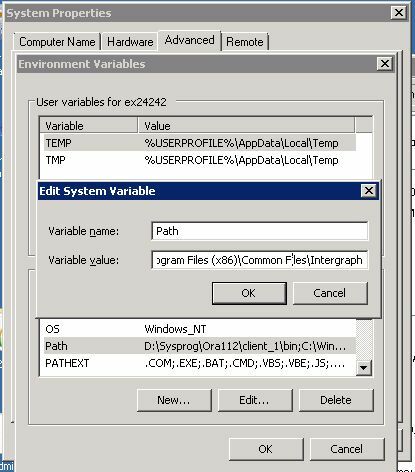 If you are not an administrator on you machine and cannot change the path variable for some reason, you could also add the path to your working folder in Visual Studio. But if you have multiple projects defined in Visual Studio, you should change this for all projects. 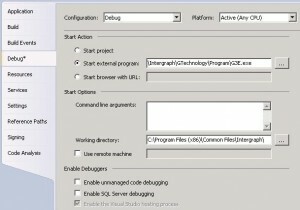 This entry was posted in Debugging, G/Technology, Visual Studio and tagged 10.2, debugging, G/Technology, Visual Studio. Bookmark the permalink.